Chianti, located in the central of Toscana of Italy, situated in between two beautiful ancient cities of Firenze & Siena that known as beautiful hilly region in general, therefore, it has the wonderful name of ” Cuore Di Toscana” – The Heart of Toscana. Accompanied with this reputation also has the Chianti DOCG red wine as well, that recorded for the wine making in this area since 11 – 12 century (Learned to know Chianti only produced white wine at that time), but Chianti was officially established as particular wine producing area, had to wait until 1716 concluded by Cosimo III De’Medice – Granducato Di Toscana (the grand Duke of Toscana).. The official wine producing area of Chianti was limited to 3 small villages, namely the Gaiole, Castellina & Radda by that time. By 1931, because of rapid development of Chianti producing areas, therefore, again expanded into more different regions, (e.g. 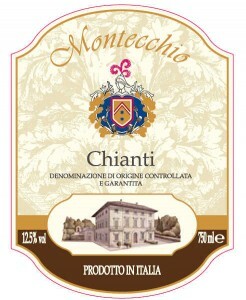 Chianti Rufina, Colli Senesi, Montalbano etc. 9 producing areas became reaching to DOCG level later ) , and for the most original 3 villages (plus the Greve valley), were then became Chianti Classic DOCG producing areas at later date. The demand of red wine increased a lot after the world war II, the Chianti production volume was huge because of wide expansion that time, but due to without proper supervision, thus the quality of wine that produced varied a lot, that made the fame of Chianti became worse & worse. By that time, there were some wineries still working hard to maintain the good name of Chianti, they brought up team of wine makers that aimed for high quality grapes wine, and with their effort and breaking the rule of traditional producing method, that made out many excellent wines, that was called as “Super Toscana”, the supreme grapes wine. Luckily for decade of years till today, the red wines out from Chianti area brings back to order, people no longer going after for productivity and ignore quality and reputation that preserved by tradition an history, and that is for all grapes wine drinkers & Vino Conte’s fans love to see. – Grape Harvest : September/October. – Vinification : Stainless steel tanks. – Ageing in the bottle : Approx. 3 months. Ideal with Tuscan salami and cheese, pasta dishes, tasty soups, roast meat. Recommended as an accompaniment to Colonnade lard, spit roast pig and hare stew.